Could Trump's Pick for FDA Mean Faster Approvals? The industry has been quick to throw its support behind Scott Gottlieb, President Trump's pick to run FDA. Gottlieb has a history of advocating for faster FDA approvals and stronger regulatory transparency. Scott Gottlieb has won medtech over, will he also win over the Senate? Known for pushing regulatory transparency and policies that support medical innovation and entrepreneurship, Scott Gottlieb, President Trump's pick to head FDA, has already won over many industry advocates. His appointment is subject to Senate confirmation though, and questions about industry ties are sure to come up, just as they did in November 2015 during Robert Califf's confirmation hearing for the same job. Learn from industry leaders at BIOMEDevice Boston, May 3-4, 2017. Gottlieb is a practicing physician, a resident fellow at the American Enterprise Institute (AEI), a public policy think tank, and he is a venture partner at New Enterprise Associates (NEA), a venture capital firm focused on the technology and healthcare sectors. He was deputy commissioner for medical and scientific affairs at FDA from 2005 to 2007, and before that was a senior adviser to the administrator of the Centers for Medicare and Medicaid Services, where he worked on payment reforms and on implementation of the new Part D Medicare drug benefit. He also served as director of medical policy development at FDA and as the senior adviser for medical technology to then-FDA Commissioner Mark McClellan. Critics of the nomination say his industry ties should raise a red flag. Gottlieb is not the first government nominee to have corporate connections, nor will he be the last. But what does appear to set Gottlieb apart from other such nominees is how wide-reaching his background is, linking him to various aspects of medtech, biotech, and especially pharma. He sits on the boards of several biotech and pharma companies and is an adviser to GlaxoSmithKline Plc. Previously he also served on the board of Irvine, CA-based CombiMatrix, a clinical diagnostics laboratory. According to Michael Carome, director of Public Citizen's Health Research Group, Gottlieb is "entangled in an unprecedented web of Big Pharma ties," and has spent most of his career promoting the financial interests of the drug industry. If the Senate confirms the nomination, Carome said, Gottlieb would have to be recused from key decisions "time and time again," due to his close relationship with industry. On the other hand, supporters of the nomination say Gottlieb's diverse healthcare background is exactly what makes him the right guy for the job. "Gottlieb's unique expertise straddles the intersection of medical care, entrepreneurship, and the role of public policy in facilitating the discovery and development of safe and effective new medical products to patients," said David Mott, general partner and head of NEA's healthcare investing practice. "He believes in the power of innovation to improve the quality of patient care and has the insight and experience to make it possible." Mott also noted that Gottlieb's guidance has proven invaluable to entrepreneurs and executives across NEA's healthcare portfolio. "He understands how transformative innovation occurs, not just the development of new medical treatments, but also the central role that patients and medical professionals, entrepreneurs, investors, and capital markets, all play in the life science innovation ecosystem," Mott said. "His medical credentials, combined with years of service in leadership roles at both CMS and FDA make him a strong choice to lead this key agency," AdvaMed President and CEO Scott Whitaker said in a statement. "Our industry applauds Dr. Gottlieb's commitment to innovation in medical technology and his recognition of its important role in providing the best care possible for patients." Specifically, Whitaker said, AdvaMed plans to work with Gottlieb and his team on the medical device user fee reauthorization in the coming weeks and months in "our mutual pledge to continued patient access to life-changing technologies." 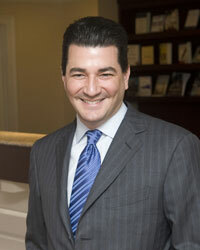 The Medical Device Manufacturers Association (MDMA) also expressed support for Gottlieb's nomination to head FDA. "While the United States remains the global leader in medical technology innovation, there is still much more work to be done," MDMA President and CEO Mark Leahey said. "Dr. Gottlieb has a proud history of guiding the FDA towards improvements that result in better patient care and lower overall costs to the system, and as a physician he has a unique insight on how all stakeholders can work together to achieve our common goals." Leahey added that MDMA would work with Gottlieb, if he is confirmed as FDA commissioner, to "ensure that patients have timely access to safe and effective medical technologies, and that the United States continues to lead the world in solving the challenges facing the health care ecosystem." AEI President Arthur Brooks also spoke highly of Gottlieb's work both within the think tank and during his government service roles. "He understands the FDA's vital role in assuring public safety while allowing patients to benefit from cutting-edge medical discoveries," Brooks said. "Americans are lucky that Scott will be serving our country in this role."